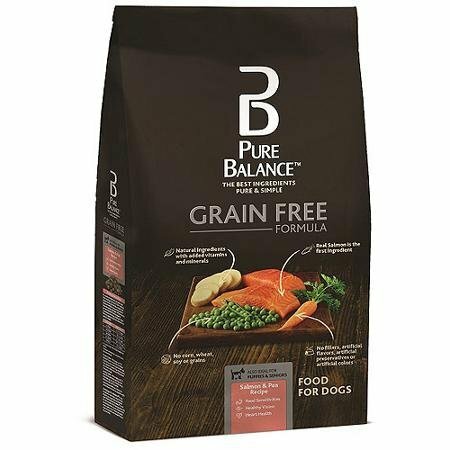 We Give Grain-Free Pure Balance Dog Food a Try! I was happy to give the new Grain-free Pure Balance Dog food a try this year. Why? My dog has been very naughty lately. We have been catching him stealing food out of the bucket that we put scraps in for our chickens. He is not allowed to eat people food, as he always gets sick. We feel bad that he so longingly looks at our food, but we know what's best for him! I was recently given the chance to let our Rat Terrier, Gilbert, try new Grain Free Pure Balance Dog Food - Salmon and Pea variety this week. Immediately upon opening the bag, I knew it was made with fish. I really smelled like fish (similar to opening a can of tuna.) 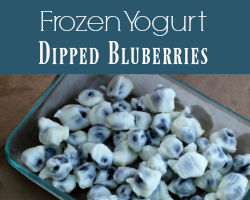 My husband, who hates fish, was a little grossed out; to be honest, I had never tried a grain-free food with my dogs, so I wasn't prepared for the "real food" smell. It took some coaxing and some time alone with the food for him to really get down to enjoying it (without feeling like a "bad" dog). He has been so happy ever since, and he comes right away when we pour the new food for his meal. I was surprised at how little of this food we can give him, as it contains no "fillers" like corn, wheat or soy. While the food costs more than the bulk dog food we currently give him, it seems like he is satisfied with a smaller amount. He is also not begging quite as much for people food. I should also mention that my cat (who is seriously best friends with my dog) got a little jealous of the food. 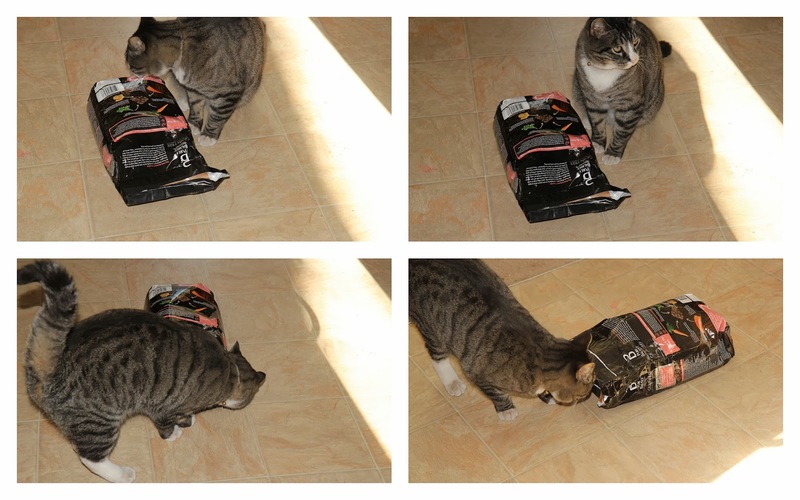 We caught him checking out the bag and even trying to get into it to eat the other day. 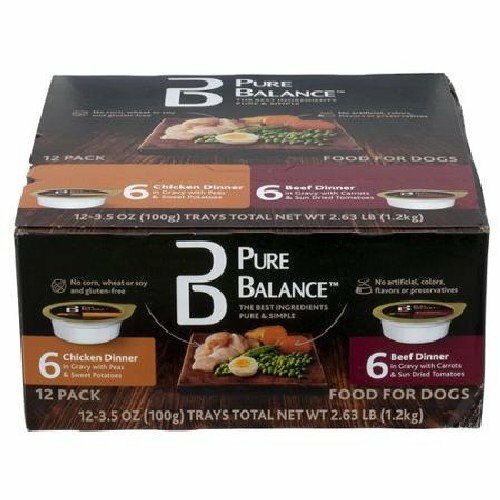 ​Does Everyone Love Pure Balance Dog Food? 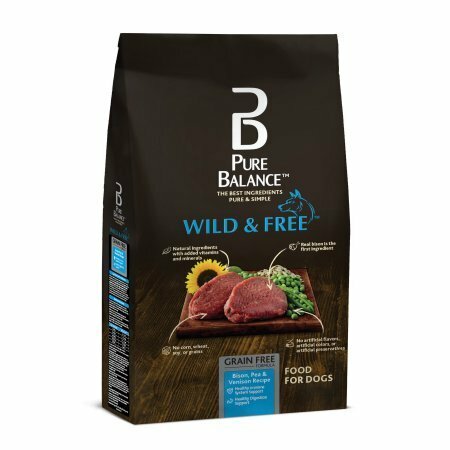 ​You can find this Pure Balance Dog Food variety, as well as the Chicken & Brown Rice, Lamb & Brown Rice, Small Breed, and Wild & Free Bison & Pea online for purchase. 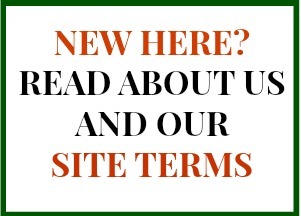 They also make wet food and treats!